This article is a guest post by Frater Caleb Walters. Frater Walters is an Iota Upsilon Chapter (University of West Alabama) Alumnus, where he held the offices of Hypophetes and Prytanis. 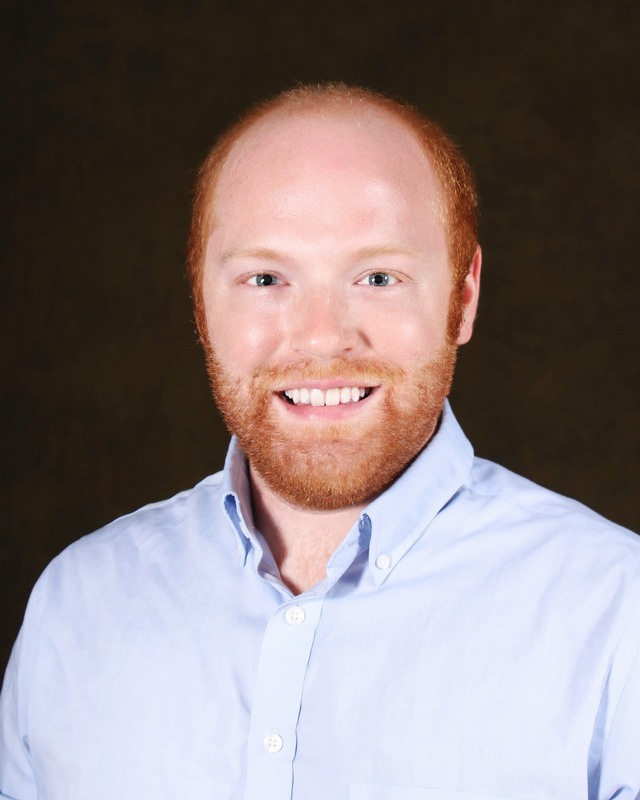 As an alumnus, he is now a communications instructor at UWA, and serves as Faculty Advisor for Iota Upsilon. If you have an idea for an article, or would like to share your knowledge with TKE Nation, please reach out to us at TKEOGC@TKE.org. We would love to learn more! In today's hyper-connected world of online and social media, news can travel around the world in an instant. For some, this means sharing good news and positive posts to a mass audience is as simple as a few clicks. There's a darker side to this constant interconnectivity, though; it shows itself when individuals use online platforms to intentionally or accidentally smear the reputation of themselves or others. As fraternity men, we see this every day in mainstream media: exaggerated clips of binge drinking, massive parties, and misogynistic attempts to attract a potential partner all play into the "frat boy" image. As fictional (or not) as those portrayals may be, the real harm comes when these depictions are based in fact. Numerous occasions have come up lately putting Greek life under fire, like intensive and dangerous hazing, racist tirades on social media, and even negligent injuries and deaths. Recovering the reputation of Greek organizations can seem like a daunting task in this environment. As Tekes, we're taught to strive for the essential elements of love, charity, and esteem. That level of esteem can be equated to the reputation of each chapter's members, both within the fraternity itself and in their everyday lives. To take it one step further, each frater's reputation is a combination of how he carries himself in the real world as well as any and all online personas he puts out in the digital world. With visual platforms like Instagram and Snapchat now running things, who we show ourselves to be is just as important as who we really are. That's where the role of successful public relations comes into play. We throw the term "PR" around a lot, usually referring to keeping everything under control when something goes wrong or taking down some potentially offensive post or story. Public relations, at its core, is simply reputation management: if you or your chapter has a good reputation, you have to maintain it; if it's not doing so great, you work on fixing it. Those who practice PR for a living often refer back to the saying "perception is everything," which is more truthful now than ever before. How do you know what information you or your chapter should present to the world? How is that information going to be interpreted? The answers to those questions aren't as easy as you might think, but there are steps you can take to make sure you're putting your best foot forward when navigating the digital (and personal) landscape. Our college years are generally just as much about personal development as they are about professional development. We establish friend groups, go out on weekends, fall in and out of relationships, and mature as individuals on multiple levels. However, the other side of the maturity coin is learning to carry yourself professionally. Reputations are built off of how you interact with others in person, but also how people perceive you online. The same can be said for your TKE chapter. One of the greatest recruitment tools chapters can and have used is the ability to successfully show the fun and entertaining side of fraternity life like socials, philanthropy events, and parties. These gatherings fulfill the personal and social aspect of TKE life, but say little to nothing about the professional side. How many chapters focus on showing professional development opportunities to potential new members or other members of their respective campus communities? You want to make sure to find a balance between the two to attract quality members and bring positive attention to yourself and your chapter. It's totally acceptable to make a post or tell a story about an awesome party…just make sure you do some show and tell about study hours and community service, too. Each member of your chapter, including yourself, probably has way more things going on in life outside of TKE that never get any attention. These external interests can be a great way to show off the talent and uniqueness of your membership, and have the potential to bring positive attention to each member and the chapter as a whole. By leveraging and promoting the interests and organizations you and other members are associated with, connections can form with other people on your campus and in your community. Maybe you're an active TKE, but you're also active in the student government association or a local nonprofit. How can you leverage and connect those two interests together? Or, maybe several of your chapter members had academic successes and were recognized for it. Did they receive a shout out on chapter social media? The collegiate athletes in your chapter had a really great season. Were you all there in the stands to support them through the process? There is a give and take when promoting the talent within your chapter. Members have to hold themselves to a higher standard and compete to accomplish great things in their own lives, whether it's academically, athletically, or otherwise. It's then the other members' obligation to make sure those accomplishments are known. Word-of-mouth advertising, both online and in-person, have a strong effect on those that hear it; this means the reputation of those successful members -and the chapter- can only benefit from this positive news. After hearing that "perception is everything," it's easy to write off someone's positive reputation as nothing more than smoke and mirrors. It's true…sometimes we have to put on our best faces and smile to make a good impression on others. Most of the time, though, reputations are built on the simple everyday actions of individuals. Public relations is built on placing a positive spin on every situation, but that doesn't mean that it stretches the truth. Living your daily routine can result in some pretty positive publicity for yourself and your chapter. Holding the door for the person behind you, picking up that piece of trash from the ground, and even engaging with your professor and classmates during a lecture can have far-reaching effects where reputations are concerned. Don't feel that you have to put on some false persona all the time just to build credibility. If you're living life by the creed you agreed to when joining Tau Kappa Epsilon, the positivity will manifest itself for others to see. As a society we have a desire to share our lives with others via social media or through direct contact, so seize every opportunity to shed light on the positive aspects of yourself and your fraternity experience. It's hard to control what others think or say about you. Sometimes, bridges get burned and relationships become strained for any number of reasons. The same goes for what's said about you both in person and online. Those two sides of the same reputation coin work together to either help or hurt how people perceive you in the world. By taking smart ownership of what you share about your personal and professional life, promoting the good and underrepresented things you and your fellow Tekes are doing, and living your day-to-day life by the creed of Tau Kappa Epsilon, your reputation and the reputation of your chapter should stay on course for long-term success. Chapter Websites: Why worry about them?